Ayurveda considers childhood to be the Kapha stage of life. Adulthood is Pitta time, and old age is the Vata stage of life. Ageing of the skin is due to the aggravation of vata dosha, which naturally increases with age. Old age is a slow and continuous process of physical deterioration in strength, in energy and in initiative and cannot meet the requirements of an active life. According to ayurveda anti aging means primarily maintaining a healthy body into old age and slowing down the processes of aging, wear and tear, and degeneration. The aim of Ayurveda anti-aging is to aspire to a healthy aging process, to keep both body and mind functioning at optimal capacity. Factors due to which skin get aged divided in to internal and external factors. Internal factors include doshas imbalance due to improper dietary habits and routine life style. External factors include the lifestyle and environment of the individual like smoking, exposure to sun, exposure to cold, poor diet, too much stress, lack of exercise etc. Anti aging is slowing down the processes of aging, wear & tear and degeneration. The aim of Ayurveda anti-ageing is to aspire to a healthy aging process, to keep both body and mind functioning at optimal capacity. Ayurveda has several treatment methods for old age (Vata stage of life) with the promise of long lasting results. The advantages of Herbal medicines India & natural herbal remedies are that they are safe, without side-effects and effective. Our herbal skin care, herbal products are made from herbal extract, Ayurvedic herbs India and categorized under Alternative medicines India. Our Herbal medicine company which specialises in Ayurvedic Herbal health care products and medicines, have been successful in tapping the incredible benefits of ayurveda in the form of natural, alternative care and herbal remedies. Our health care products are made from natural, healthy herbs. 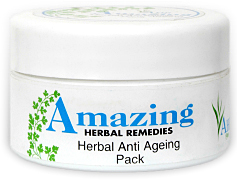 Herbal anti-ageing pack, is an all-natural, developed by certified herbalist Dr. Raksha, using nature’s most powerful ingredients that works effectively for healthy skin eliminating skin problem. 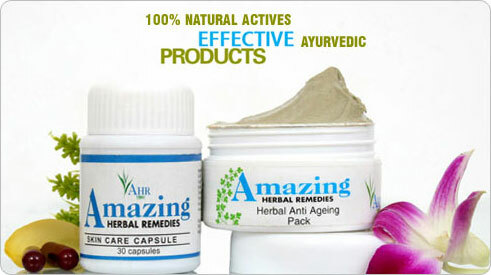 Anti-ageing solution is a herbal therapy & blend of some rare Ancient Indian Herbs, which are used from centuries to improve condition of the skin. Natural skin care products leads to great reduction in the appearance of fine lines, wrinkles, rough skin, and hyper pigmentation. Herbal face pack helps improve skin´s texture, diminish the appearance of freckles and brown spots, and reduce the look of blotchy and uneven skin. 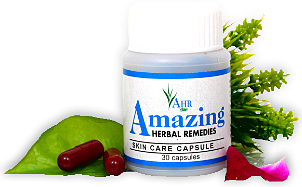 The special herbal extracts in the natural skin care pack helps fight all these signs of aging and difficult skin. Anti- ageing face pack is suited to all skin types (skin condition, dry skin, sensitive skin, normal skin, oily skin, combination skin), this highly flexible herbal anti-wrinkle cream is easily absorbed which slows the aging process naturally. Skin care cream is helping to rejuvenate the skin and make it appear soft, youthful. Advanced skin care ensures skin have an improved ability to retain moisture. With this wrinkle reducer great reduction in the appearance of fine lines, wrinkles, rough skin, and hyper pigmentation can be noticed. This product is also made to help improve skin´s texture, diminish the appearance of freckles and brown spots, and reduce the look of blotchy and uneven skin. The special moisturizer in the natural skin care product helps fight all these signs of aging and difficult skin. Anti aging skin care is used for anti-aging purposes and skin damaged from various elements like the sun, smoke, and stress. Natural herbal remedy for facial skin care also stimulates collagen production and provides daily protection against skin ageing. Ayurvedic skincare & herbal cleansing also exfoliate the skin that removes dead cells, making the skin texture appear refined and revitalized. Herbal skin cream encourages the removal of toxins and wastes, purifying the skin and leaving it looking clearer, brighter and more youthful. Samudra fem (Sepia officinalis): This herb is widely used for anti-wrinkle, skin whitening & skin complaints from ancient times. Sankha bhasma (AFI): Sankha bhasma is indicated in Ayurveda for wide range of properties. It is widely used in Ayurveda in large number of formulations where remedies are required for skin ailments, skin whitening & wrinkles. Jatamansi (Nardostachys)): Traditionally this herb has been used as a herbal drug in various health related problems. The extract possesses therapeutic usefulness of various skin disorders. Neem (Azadirachta Indica): This herb is widely known for its anti-bacterial & anti-septic properties and it protects the scalp from any harmful infections. Giloy (Tinospora Cordifolia): It helps increase the effectiveness of protective white blood. Chirayta (Swertia Chirta): This herb is widely known as blood purifier & wound healer and is used for the treatment of skin disease. Yoga helps in maintaining the health of the human body. Regular practicing of Yoga has the ability to be young once again. yoga revitalizing the mind, rejuvenates the body. Yoga helps in elasticity to the spine, firming up the skin improving the quality of loose arm muscles, By practicing inverted Yoga postures, you can turn back gray hair to its natural color. Position a folded blanket under the shoulders. The head and neck should be off the blanket. Come to lie on the back. Using the abdominal muscles, lift the legs over the head until the toes touch the floor behind the head. Interlace the fingers behind your back and straighten the arms. Roll the shoulders under one at a time. The hips should be aligned over the shoulders. To come out, roll out of the pose slowly, one vertebra at a time, keeping the legs straight and feet together. Much of life extension has been concerned with the use of nutrition, in the form of diets or supplements, to extend lifespan. The many diets promoted by anti-aging advocates are often contradictory. One of the few areas of consensus among nutritionists is the importance of keeping stable blood sugar levels, achieved in part by managing the food choices. As scientific research reveals more and more about how the human body works, what foods promote a healthy body, and what foods cause physical stress, it is becoming evident that many of the life threatening diseases experienced by aging people are the result of an unhealthy lifestyle and a poor diet. Viewed from this perspective, any foods that form part of a healthy diet might be considered anti aging foods, but it’s also true that some foods in particular seem to have unusual properties. The largest group of these anti aging foods are the ones that contain antioxidants. Antioxidants are molecules that clear away free radicals, damaging particles that damage body cells and accelerate aging. Free radicals are always being produced in our bodies, so antioxidants are constantly needed to remove the free radicals before they have a change to do damage. Many foods, particularly fruits, vegetables, and whole grains contain antioxidants which are highly beneficial in anti aging food. Diet is the major part and its necessary to design a diet that is healthy for the body in general and helpful for avoiding the typical signs of aging. Such a diet would Avoid consuming pesticides and other toxins as much as possible (organic foods are best for this), as well as foods that are high in fat, salt, and sugar. Grains should be whole grains because the body converts the sugar in these carbohydrate sources at a slow and steady pace (to learn more about this, read about the glycemic index). Anti aging food stars are the whole vegetables and fruits. Proteins should come primarily from beans, nuts, and seafood, with a minimum of dairy, poultry and red meat products. Healthy fats include olive oil and, to a lesser extent, other vegetable oils – avoid trans fats and saturated fats as much as possible. Though, for many people, adopting a diet of anti aging foods may seem like a drastic and difficult task, most people quickly discover a feeling of increased wellbeing, and gradually come to enjoy eating these wholesome healthful foods. And they are able to enjoy good health longer into their senior years. Antiaging foods are definitely worth a try. Supplementation can also ensure that you get the vitamins, minerals, antioxidants and other nutrients you need, as sometimes even the most well-balanced diet is lacking in some essentials. Acupressure Instant Facelift the meridian points in diagram. If you touch those points on your face, you should feel a slight, cup-shaped depression. That is the meridian point you want to work with. There are 10 meridian points on your face. PROPER TECHNIQUE: To perform acupressure Always use the pad on the tip of your middle finger to press firmly on points. While pressing firmly, gently rotate the fingertip to massages in a circular motion for about 1 minute on each point. The whole face lift takes about 10 minutes. points ON THE BROW: Press and massage each point and circle inwards. Point 1 – In the middle of your forehead at the hairline. Point 2 – In the middle of your forehead between your hairline and brow. Point 3 – At the corner of your eye. DO NOT touch your eye. You can do this on both sides. Acupressure points around the eye:. Point 4 – At the far end of both eyebrows. Point 5 – Just outside the corner of both eyes. Point 6 – On the lower-center edge of both eye sockets. Point 7 – On the cheek, directly below point 6, level with the end of the nose. Points around mouth and jaw : Press and massage each point outwards. Point 8 – In the center between your nose and your upper lip. Point 9 – In the center between your lower lip and chin. Point 10 – Slightly open your mouth. Drink 8-10 glasses of water daily. It is very important to keep the intestines working well. Keep the water overnight in a copper vessel and drink it when you wake up in the morning. This home remedy for anti aging can be found in broccoli, cabbage, brussels sprouts, oranges, apples and grapefruit. In order to get that radiant look, grate raw coconut and squeeze milk out of it. Apply this milk on your face and it will give your skin a glowing effect. The oldest remedy to reducing wrinkles on the face is to drink plenty of water. Your ordinary potato, use it raw, grind it up and put it on your face for 25-30 minutes, then rinse. It tightens the skin and enhances collagen helps erase fine lines and reduces blemishes. Buy castor oil and apply this on your skin, to soften your skin and remove wrinkles. A few drops of lemon juice on your face can help remove blemishes and age spots as well. This entry was posted in Clinic Remedies and tagged Age Spots, Anti Ageing, Arms, Ayurveda, Eyelids, Jaw, Neck Sagging, Skin, Wrinkles, Yoga.